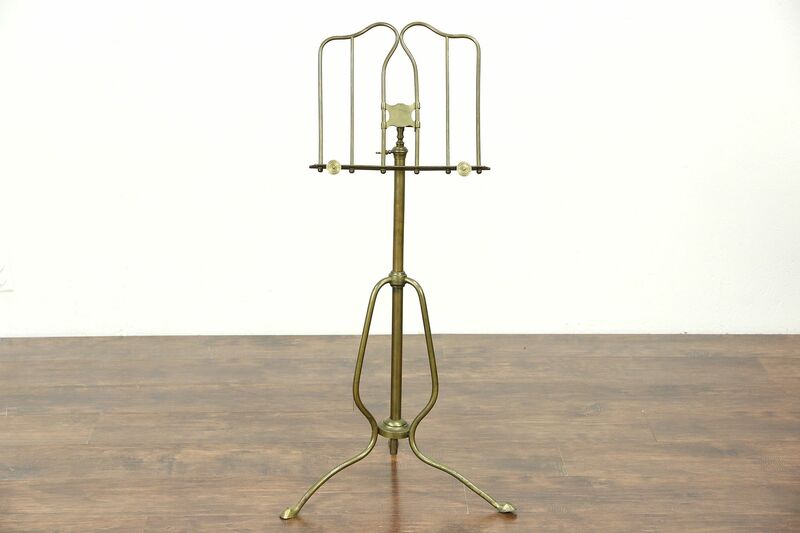 A solid brass music stand from about 1900 shows Art Nouveau influence. Height and tilt of the music desk are adjustable on this American made music room furniture. The brass has a nice natural patinated finish from age. There are dings and bends as shown. Measurements are 14" wide, feet are 19" across and height adjusts from 38" to 62" tall.